Berlin - Two of this season's impressive starters, Hertha Berlin and Hamburger SV, face off at the Olympiastadion on Saturday afternoon (kick-off: 15:30 CEST/13:30 GMT). After three games unbeaten, Hamburg lost 1-0 to FC Schalke 04 on Matchday 7 - a third loss of the campaign. Since Bruno Labbadia took over in April, HSV haven't lost back-to-back games. 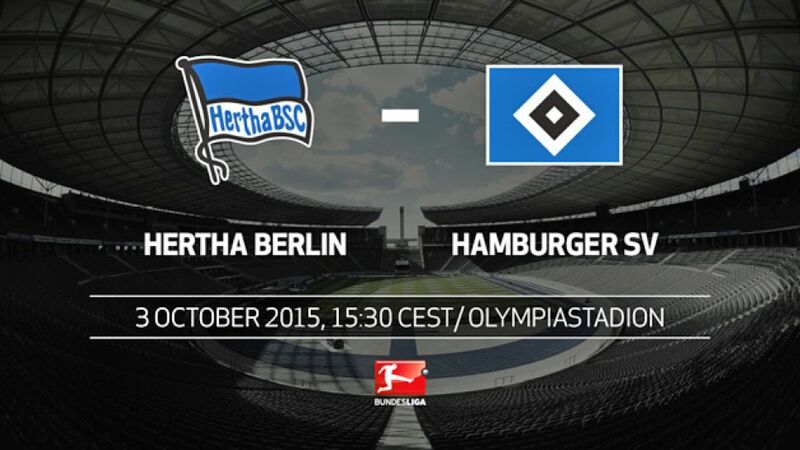 Hertha could make it five home games in succession without defeat this weekend. The last time that happened was under Lucien Favre in 2008/09. However, this weekend's visitors have won their last two on the road (3-0 in Mönchengladbach and 1-0 in Ingolstadt). Hamburg have gone four consecutive games against Hertha without finding the net: only once have die Rothosen gone longer against one team without scoring (q. FC Nürnberg between 1965 and 1967). Last weekend in Frankfurt, Vladimir Darida netted Hertha's equaliser in the 82nd minute: half of the 20 goals scored under Pal Dardai have come after the 68th minute.